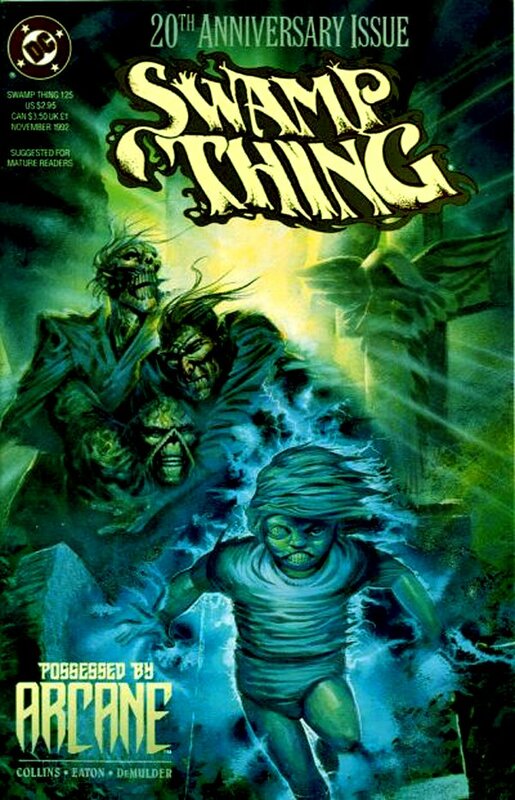 Click Here To See Swamp Thing #125 Comic Book! Check out this very nice Swamp Thing COVER Painting which was created ENTIRELY by famed WATCHMEN color artist: John Higgins, from the story titled: "Possessed By Arcane!" 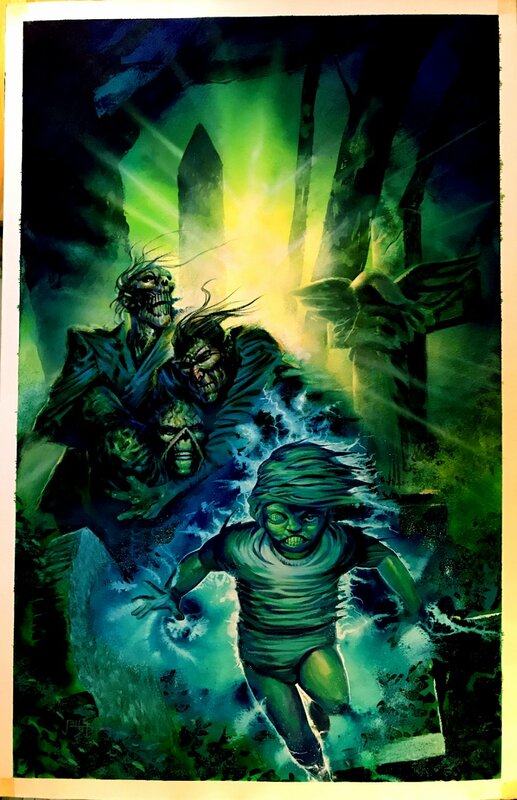 This awesome painting features SWAMP THING in a cemetery being grabbed and held by ARCANE, as well as another ghoulish living dead creature, as a supernatural electric charged zombie boy runs away! Synopsis: In Hell, when it is announced that the devil has abdicated his position, Arcane and many other demons take the opportunity to escape. Arcane decides that it's time he paid an overdue visit to his family. Art is drawn on 14 by 21.75 inch art board, and is signed at the bottom! Just a great opportunity here to own a NICE PUBLISHED cover painting by this artist! Compare this nice painting to the published comic book in the red link above! ALL art on our website (including this one) are able to be purchased with VERY fair time payments, and trades are always considered towards "ANY" art on our website! Just send us an email to mikeburkey@aol.com and we can try to work something out.